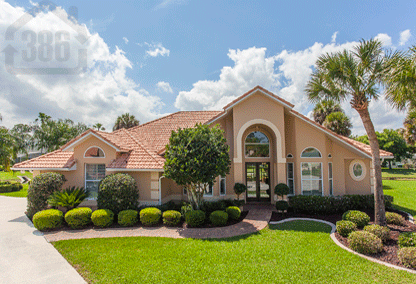 Search Port Orange Homes For Sale. There are many Port Orange real estate options for families, retirees, and investors alike! Whether you are looking for a golf course home, a riverfront property, or a small cottage on the ocean, Port Orange is one of the best real estate destinations in Florida. Award-winning schools, new shopping centers, and many restaurant choices are a few of the conveniences that Port Orange offers. Start by searching a few Port Orange Neighborhoods or scroll down this page to view a few Port Orange homes for sale. Don't forget, new home listings are available daily, so be sure to bookmark our page or call Kevin Kling today for the most current Port Orange real estate opportunities. Golfing in Port Orange is like golfing in paradise! You will be impressed with the meticulously maintained golf courses in Port Orange and surrounding areas. Port Orange golf courses include Cypress Head Golf Course & Country Club, Spruce Creek Fly In Golf Course & Country Club, Crane Lakes Golf Course, and more. As an avid golf fan and part-time player, Kevin can help you locate the perfect golf course community for you and your family. Large, estate-sized homes are available in Port Orange on full acre lots and larger. Neighborhoods such as Rolling Hills Estates offer single-family houses from 2400 square feet all the way up to 10,000+ square feet. These homes offer that extra space and privacy you may need for your growing family. Larger homes are also available in Covendale in Waters Edge, The Sanctuary, and Spruce Creek Fly In & Country Club. Million dollar luxury homes in Port Orange include hangar homes in Spruce Creek Fly In , riverfront homes with boat docks on the Intracoastal Waterway, and even oceanfront homes just over the Dunlawton Bridge. Let Kevin Kling assist you in locating a great real estate investment. Call us now at (386)527-8577 and we will find you the perfect Port Orange home.